Sunday 13th March was the Fifth Sunday of Lent – The Lord has done great things for us; we are filled with Joy. The Southern Catholic Primary Schools Swimming Carnival was held at the Hobart Aquatic Centre on Monday 7 March. The students from Grades 3-6 representing Corpus Christi were a credit to our school, their families and themselves as their behaviour was impeccable, their performances were fantastic and their support and encouragement of each other was outstanding. Congratulations to all students who participated, to Mr Brasnja for organising the team, Mrs Heaton for being our official photographer, Mr Riza for his assistance and to all parents who were able to come along and support the children. Many thanks to all parents and extended family members who participated in and contributed to Woolworths Earn and Learn. 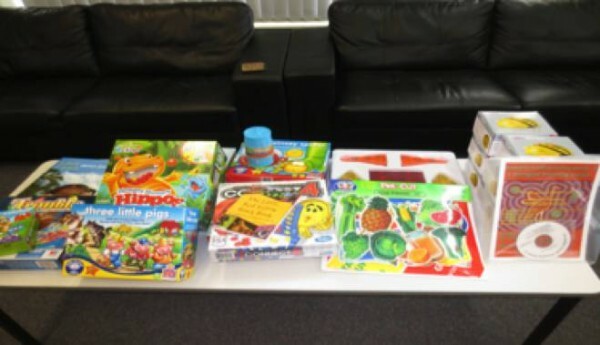 We have purchased many wonderful games, gardening equipment, maths equipment, posters and other items. The equipment will be catalogued and stored in the Library and can be borrowed from there. Some of the items received are in the photos below. Well done to all the students who participated in the K’s for Caritas Walk-a-thon last week, raising money for Caritas to help those less fortunate than ourselves. Thank you to the parents who were available to assist on the day, your help and support was much appreciated. 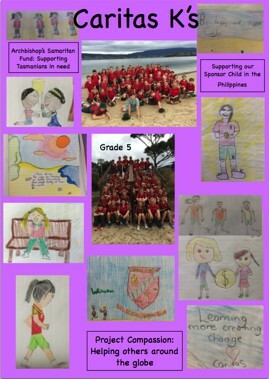 Money and sponsorship forms are to be returned to the School office by Tuesday 5 April. The T20 boys and girls cricket teams will travel to Lindisfarne tomorrow to play against other schools to determine who will participate in the finals later on in the year. We wish the participants all the very best for the day and have fun. A reminder to all Grades 3-6 students and parents that the red polar fleece top is not part of the formal school uniform. The polar fleece is appropriate to wear on a cold day when outside playing or to and from school during winter. It is not appropriate for students attending formal functions at other schools or venues. As this is the last newsletter, prior to Grade 5 going to the Far South Wilderness Camp, I take this opportunity to wish the Grade 5 students all the best and enjoy your camp. Have a lot of fun and look after the wonderful parents who are travelling with you and of course your great teachers, who do so much with you. 5% DISCOUNT (on Net Tuition Fees) will be applied to annual payments where payment is made by no later than Thursday, 31 March 2016. If paying by BPAY the payment must be received into the School’s bank account by Thursday 31 March 2016. UNSCHEDULED PAYMENTSAny unscheduled payments (ie, payments made by cash, cheque, BPAY or over the counter EFTPOS) are due by no later than Thursday 31 March 2016. The next SCHEDULED EFTPOS Payment will be processed on Monday 25 April 2016 due to the School Holidays and the SCHEDULED DIRECT DEBIT Payment will be processed on Friday 15 April 2016. 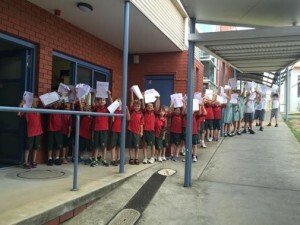 Student Enrolment Application Forms for Kindergarten 2017 applicants are to be received at the School Office by Friday 1 April 2016. 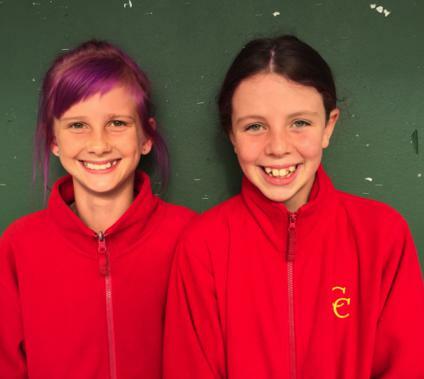 Jessica Cooper (6KW) and Delaney Goram (6M) are participating in the World's Greatest Shave 2016. Instead of shaving their hair they have dyed their hair. All of the money will go to the Leukaemia Foundation, which helps funding for research towards Leukaemia and other types of blood cancer. Please sponsor them at www.worldsgreatestshave.com or a cash donation can be given to them and they will issue a receipt. Cheese and Bacon Pizza Singles are now available for purchase for $3.00 each. Volunteers In accordance with Tasmanian State Government legislation for Working With Vulnerable People, everyone who currently works or volunteers in Non-Government schools must have a Working with Children Registration. Information regarding the legislation and online registration is available at http://www.justice.tas.gov.au/working_with_children. Once your card has been received, please forward a copy to the School Office for verification prior to volunteering. Please note Police Officers, Correctional Officers and Emergency Management Workers dealing with an emergency are only exempt in their professional roles. If volunteering you must still have a WWVP (Working with Vulnerable People Registration). Exemption currently applicable to Health Practitioners and Lawyers will be removed as of 1 April 2016.